4) If you are not reporting a new error but want to add to somebody's message, please, just quote it and use the same template for your addition. The topic is under strict moderation rules. Any message that does not follow the guidelines will be deleted without warning. This topic is for bug reports. Mixture Settings of russian Fighters works partial only. Tested with YAK1; LAGG3; LA5. On high altitude f.e. 6000 m, you can fly these planes in "full rich" Mixture-Settings without a problem. No engine stutters or black exhaust. Normaly you have set the MXs. to lean in this altitude. Mixture Settings to lean or to rich doesnt increase or decrease the engines temperatur in any sort. Stuka water radiator indicator gauge in cockpit does not work when manually opening/closing radiator. With auto-radiator setting turned off, using the controls mapped to open and close the water radiator appear to work (according to the tech chat displayed on the screen), but the indicator in the cockpit does not move. During auto-start process, the water radiator indicator needle does move, but not when the radiator is operated manually. Not sure why I can't edit my post above about the Stuka water radiator cockpit gauge indicator, but after further testing today I've realized this is probably not a bug after all. I think all that's happening is that there's no power to the cockpit gauges until some point during the automated startup process, and thus the needle on the gauge will not move when you open or close the radiator before starting the engine. After the engine is running, the needle does move when I manually open or close the radiator, so I guess it's probably working as intended (might be a good idea to mention this in the manual when one is created, so other folks won't think it's a bug like I did). Brief description: Sometimes when I start the game, my Microsoft Sidewinder 2 Force Feedback joystick will produce a strong "kicking" force sensation. Detailed description: This incident is seemingly random but sometimes when I start the game up and begin flying, my FFB joystick will produce a strong kicking sensation that pulses every second or so. It doesn't seem to correspond to any simulated forces from the game. In order to get rid of this, I have to go into devices and disable and then re-enable force feedback. Apart from this random kicking sensation, the force feedback in the game feels very muted and weak compared to other titles. Brief description: As reported a couple of updates ago, pilot view controls when mapped to the hat switch of the third controller in a multi-controller setup do not react to view settings as specified in the control settings, it seems to use the default speed and inertia settings. Detailed description: When mapped to any other controller (joy_0 or joy_1 respectively), it is working fine, however that is not an option for me because I want to fly with my MSFFB 2 Sidewinder, which gets always recognized as 3rd controller no matter how I plug them in. This problem is persistent since a couple of updates ago, it is hard to pinpoint when it first started, since I didn't play for a couple of months towards the end of the early access stage. But I know for certain that it did work before. Quick camera panning is crucial for me since I don't use TrackIR. MP is not an option right now because of this. Brief description: Year wrong in description of Kalach award, and results numbers on profile screen are wrong.. 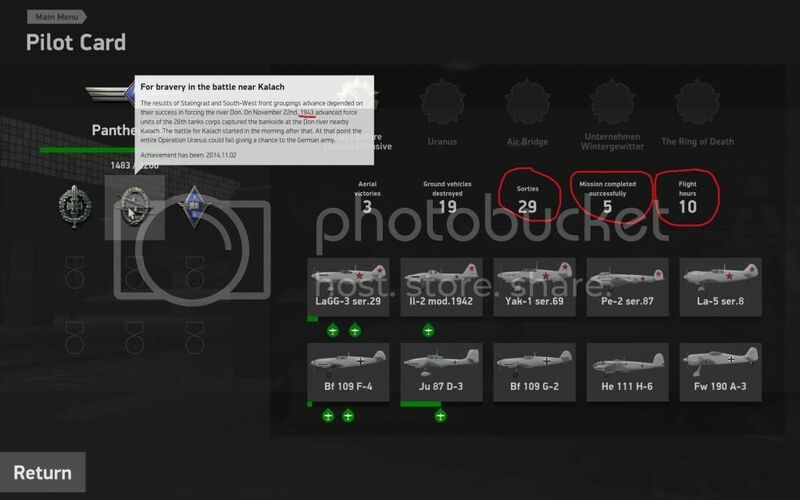 Detailed description, conditions: The pop-up for the award given "For bravery in the battle near Kalach” describes the battle as occurring in 1943 – should be 1942. Also, the numbers displayed for sorties, successful missions and hours flown are all incorrect (and different (lower) than they were the last time I looked, despite several additional successful missions having been flown between views of this screen). Detailed description: After changing some key bindings and joystick axis settings my game no longer launches. Brief description: Some keys do not react while in-game. It sometimes occure in singleplayer as well, without even starts the chat (can finish mission or even escape and so have to use alt+esc to end IL-2: BoS from Windows). *It seems to me that this happen when I use Windows key or otherwise minimalize the game at any moment since the game has started. The red part, which is related specifically to this particular achievement, probably doesn't need to be there at all. 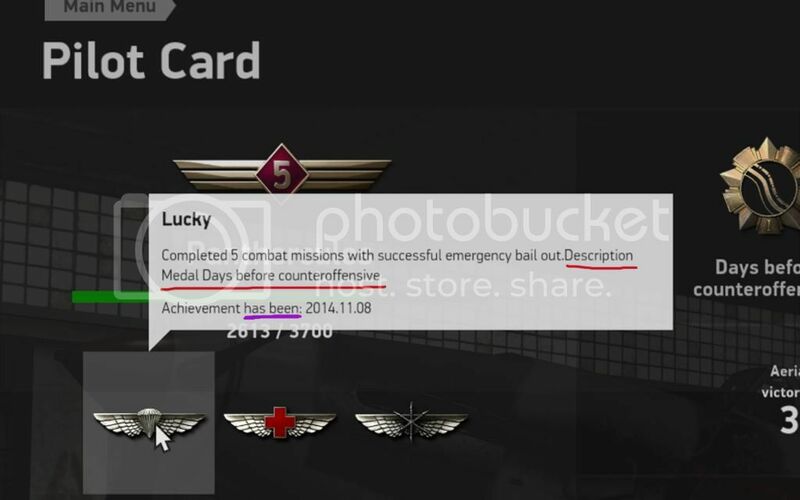 However, if it is retained, the words "Description Medal" should read "Awarded during". Also, the purple part (which appears on these achievements generally and should be fixed everywhere) should be changed from "has been" to "awarded" or perhaps "obtained". track IR no longer works with Steam or PC version. Detailed Description: axis animation does not move for the inlet cowl shutters control command on the configuration screen. In-game, it does work properly. It's just the control setup screen that needs fixing. Brief description: v1.004. In replay videos, exhaust flames on IL-2 planes still only appear on one side of the engine. Brief description: v1.004. Grammar mistake. After successfully taking off from an airfield, the yellow text displays the message "You have successfully took off." This is incorrect. It should read either "You have successfully taken off." or "You took off successfully." In version 1.004 nothing has changed concerning the problem I mentioned. I can't imagine this being such a big and time-consuming issue to fix, but it is VITAL for someone flying without TrackIR or mouse view, one cannot maintain sight on an enemy aircraft during ACMs if the view pans so slowly as it does in the default speed. Brief description: I did some more test runs today, the problem also occurs if only two controllers are plugged in: camera settings (rotation, movement, FOV change speed) do not apply when mapped to the hat switch of a second controller (joy_1) and instead use the default values. Additionally it seems that only vertical or horizontal hat switch movements are recognized at a given time, i.e. diagonal movement does not work when panning around. Single controller works fine. Detailed description: I used this time only two joysticks for testing purposes: MSFFB2 Sidewinder and T16k from Thrustmaster. As long as only one is plugged in (thus being joy_0 in settings), either is working fine. As soon as both are plugged in, the Sidewinder automatically is recognised as Joy_1 by the game, and when mapping controls for pilot head movement to the hat switch of this controller, there is only one (default) speed setting, no matter what parameters I change in the camera settings (rotation speed, inertia etc.). These settings however are still having an effect on the first controller (Joy_0 [being always the Thrustmaster stick]). Briefing text obscuring "O" map. Since 1.005 the briefing text on the full briefing map will not stay closed. When the map is called up in flight using the "O" key, the briefing text opens up. The text can be shut manually, but if the map is opened again the text will reappear. If the map is closed and opened again the text will shut, then open again the next time the map is used. This makes the map hard to use on any mission where the briefing text obscures the flight plan. Detailed description, conditions: can not drop bombs from pilot seat, manual, you have to go into V bomb sight and press the drop bombs button. The "close engine outlet" key binding also closes the oil radiator in the La5. When I press the key for this binding I can see the oil radiator lever on the left side of the cockpit move and the wheel for the engine cowl outlet on the right side move. Checked the external view and both are closing. Detailed description: In the arming screen, text overlaps drawing. Brief description: Logitech Extreme 3D Pro joystick settings ignored. Detailed description, conditions: This would seem to be under all conditions, planes etc. although I haven't tested them all. In-game settings for controls take precedence over settings made in the Logitech Profiler software. Making, in particular, the setting of a button as a "shift" button not possible. I had Track IR centre + pilot snap view forward mapped to same button- has worked in IL2 original for 7 years. For past 3 days view is left wing. Nothing I change makes any difference. Only way to fly is to move head to top Right hand corner of screen & get a sore neck. Unbelievably frustrating! 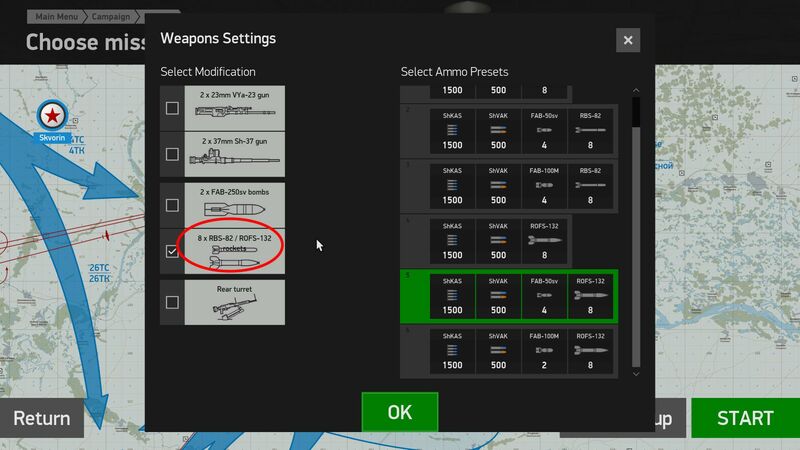 Why is it not possible to simply choose Track IR as tool/device, wipe all the nonsensical keyboard view mapping & explain all the settings simply? Win 7, i7 Quad Core Processor i7-3770 (3.4GHz) 8MB Cache, 8GB KINGSTON HYPER-X GENESIS DUAL-DDR3 1600MHz, 2GB NVIDIA GEFORCE GTX 650Ti, 120GB KINGSTON V300 SSD. MS FFB2- works perfectly in IL2 etc. Brief description: Flight Interface screen: Color option: It is not possible to swap colors for friend and foe icons. I have noticed that with force feedback enabled, trim settings have no effect on how the aircraft flies. I end up having to push the nose down which makes flying a bit of a chore. With force feedback disabled everything works as it should and I can trim the aircraft for level flight. I have the same joystick and have also reported this problem. I also know others with the same joystick who also have the same problem. However, the response from the BoS dev team is always that they are "not able to replicate the problem". From my perspective it appears that the BoS dev team do not want to recognise that there is a problem. I get the impression that they don't care if Saitek Cyborg Evo Force feed-back users have a stick that is not compatible with BoS with ffb turned on. I have stopped flying BoS at the moment and do not have it on my PC because of this. Instead, I have just started with DCS World WWII aircraft and am looking forward to the DCS WWII project with 'Edge' and the new Normandy map. The Saitek Cyborg Evo Force feed-back joystick works perfectly well with CloD and DCS, so the evidence clearly suggests that there is a problem with BoS, not the joystick. I refuse to fly BoS with ffb turned off, so I don't fly BoS anymore. I also think that there is enough evidence with this issue and others reported on the forum to suggest that there is a problem with pitch control in BoS. To say that I am disappointed with this is an understatement, as I dearly wanted to fly BoS and have supported it from the start. Perhaps as BoS gets polished they will finally overcome what I see as pitch control issues. 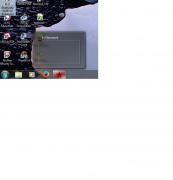 Detailed Description: the Return to Base command is not working from the on-screen command menu. Pressing the F7 key currently does nothing. Problem with non-applied settings of camera fov and movement speed for pilot head control when mapped to a second controller remains still unsolved since before release. For the love of it, I know you have only one programmer, but how long can it take to review the camera settings code and see if there's a missing or not working link for extra controllers that results in not taking the settings...30 minutes? It HAD worked before, so it's not like inventing the wheel anew. 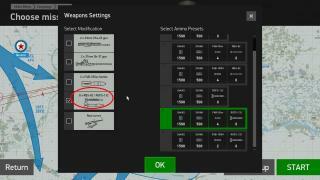 Detailed description: I was having no Input response while in syndicate server MP, I open setting/ controls/ and tried to assign my X52 throttle mouse push button wheel, to "wheel break" no response. I get the same problem with my Microsoft FFB2, but only in the He 111. The trim wheel moves, but the forces do not act accordingly. All other planes do work. Have mentioned this before...the direction that the directional indicator instrument on the aircraft instrument panels (at least the ME109 and Stuka) seems to indicate wind direction as it mirrors the wind direction HUD cheat in the left corner bottom. It would be so much better if it at least indicated that it was homing in on the home base beacon...that way you do have some navigational abilities. 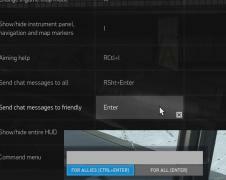 F7 - return to base command does not work anymore. I have both the Steam version and the version originally sold by 1C/777. I usually use the 1C/777 version because it seems more stable and I do not get a bunch of Steam messages when starting up. I wonder how or if Steam screws up the games...but last night, I went into the Steam version after playing on the 1C/777 version and saw that a few of my saved mission records/videos did not appear on the Steam version...while they did on the 1C/777 version. No big deal...I will play the 1C/777 version as said before...but I thought your programmers may see some clue to issues if I mentioned this.  Detailed description, conditions: When I pan/shift my head from side to side when looking forward, all is fine. When I look back to check my six and lean to either side, it is the opposite, exactly counter-intuitive. (e.g. I have to lean LEFT to move my head to the RIGHT to look over my left sholder to see my 7 o'clock.) This needs to be changed! You are forgetting to press "H" - to hide track player interface and access these camera functions. Brief description: Stabilizer trim wheel keeps turning after letting go of button. Detailed description, conditions: In the Bf 109 F-4 and G-2, the stabilizer trim wheel will keep turning for a while even if you let go of the input button. Basically like it's trailing behind. It should stop turning, as soon as you let go of the control button. Brief description: New key assignment for in-game chat does not work. Detailed description, conditions: As it quite often happens to me to press Enter instead of Ctrl+Enter when sending a chat message which is supposed to be for my allies only, I changed the key settings in the menu as seen in the screenshot below. However, this new assignment seems not to be recognised by the game. I still have to use the old commands, Enter for "send msg to all" and Ctrl+enter for allies only. Please see the screenshot of the chat menu in flight, still showing "Ctrl+Enter". Brief description: Recorded tracks-view cannot be controlled with mouse. Detailed description, conditions: 'Camera: head-unlinked cockpit' does not allow view to be controlled by the mouse. This feature is beneficial when creating movies or analyzing telemetry during replay. This feature was available IL2-FB and is currently available in Rise of Flight and IL2-Cliffs of Dover. 'Camera: head-unlinked cockpit' does free the view with TrackIR but using the mouse during replay is much easier and more functional. This feature does work when flying in SP. Additional assets (videos, screenshots, logs): None needed. Just review one of your saved tracks. Your PC config data (OS, drivers, specific software): Windows Home Premium x64-SP1, i7-3770K@3.50 Ghz OC'd @4.50 Ghz, GTX690 with 347.09 Drivers, 16g memory, Warthog HOTAS, CH Throttle Quadrant, Crosswind Pedals. Brief description: Replay Modes "edit" and "load"
mode "load": User can go fastforward and rewind the video, but not move camera position. mode "edit": User can't go fastforward OR rewind the video, but can move camera position. Shouldn't be both changing time and camera position be possible in one of the modes, just for sake of viewing enjoyment and convenience?